The Fourth Doctor, Tom Baker, gets a new companion for the eighth series of his Big Finish adventures: WPC Ann Kelso, played by Jane Slavin! 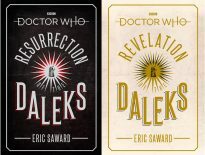 The Syndicate Master Plan begins this month with The Fourth Doctor Adventures Series 8: Volume 1, out now. Baker and Slavin are joined by John Leeson as K9, Frank Skinner as DCI Scott Neilson, Glynis Barber as Kathy Blake, Ewan Bailey as Hugo Blake, Nicholas Khan as Jimmy Lynch, Leon Williams as Tony Reynolds, Fenella Woolgar as Vanessa Seaborne, Jeremy Clyde as Lord Braye, Lizzie Roper as Trencher, Andrew Ryan as Titus Wayland, Finty Williams as Ada Lovelace, Andrew Havill as Colonel Wildman, Eve Webster as Hettie / Lady Cleverley, Barnaby Edwards as Mr Hobhouse, Glen McCready as Edvard Scheutz / Lord Byron / Harry, John Shrapnel as Nigel Colloon, Anna Acton as Brox, Blake Ritson as Elmore, Roger May as Mac Foley, and Tracy Wiles as the Drones. 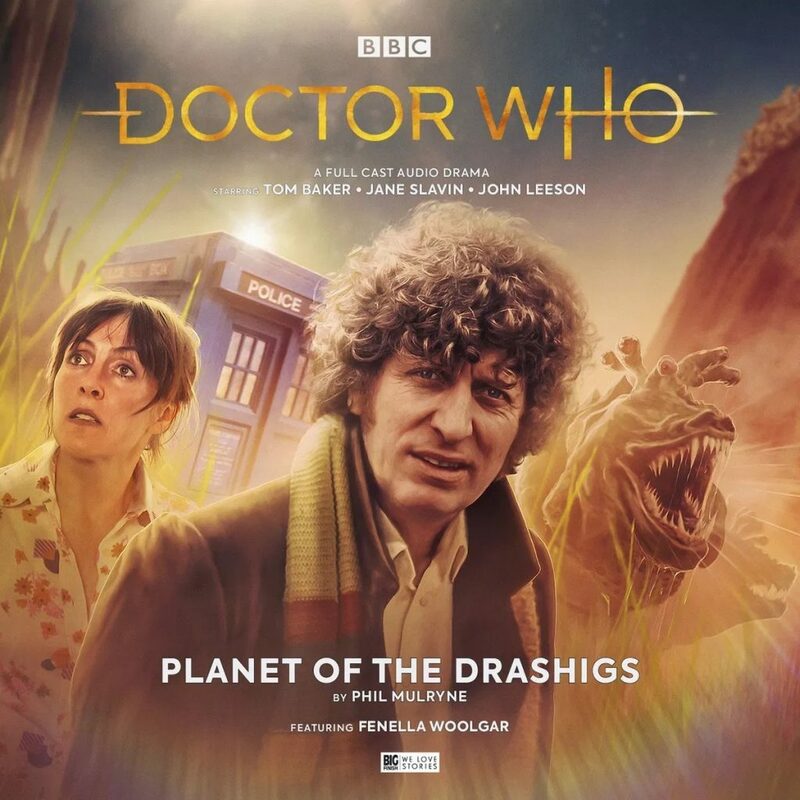 When the TARDIS lands on an alien planet, the Doctor’s intentions to show Ann Kelso an advanced future society are thrown into disarray. Because they have arrived on DrashigWorld – a park where every known species of the terrifying predators has been gathered together to entertain and thrill the public. The familiar wetland Drashigs, the albino burrowing Drashigs of the desert, and deadliest of all, the tiny Emerald Drashigs of the rain forests. And it’s not the best day to have arrived. The park has been shut down due to a visitor fatality. A Galactic Attractions inspector is on site meaning everyone is extremely tense and under pressure. It’s exactly the right circumstances in which someone might make a mistake. And on Drashigworld, mistakes are deadly. The TARDIS lands in the grounds of Newstead Abbey, Nottinghamshire, in 1850. 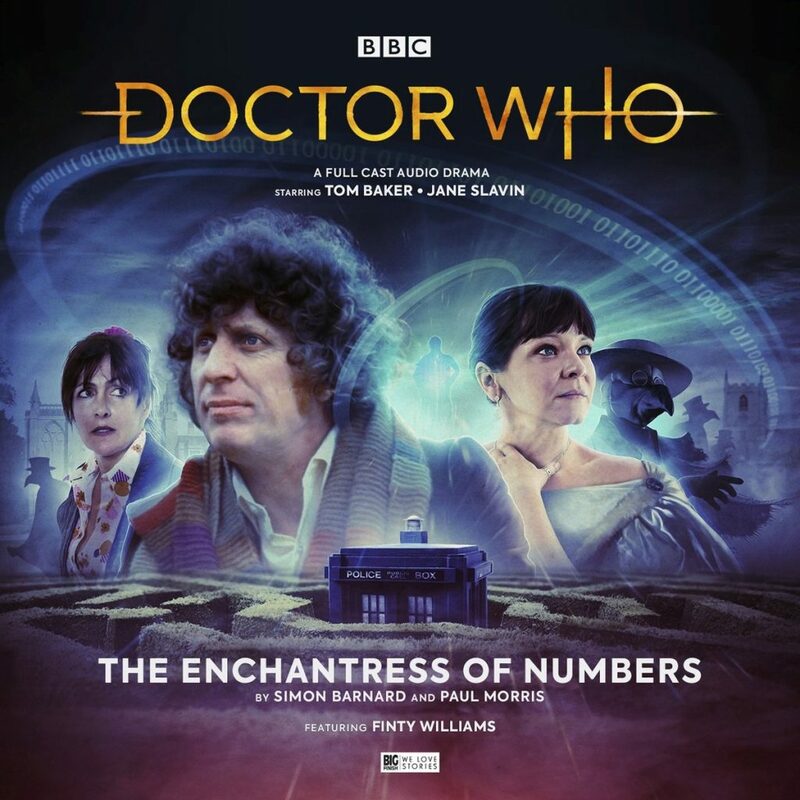 Mistaken for a medic and his maid, the Doctor and Ann are brought to meet Ada Lovelace – the mother of computing and daughter of Lord Byron – who has recently fallen ill. But the travellers are not here by chance. Something odd is happening on Earth, and they’ve determined that this place is the centre of it. Strange figures are walking the land. Strange figures wearing bird-like masks. What do they want with Ada? And how will it change the future of humanity? Ann Kelso doesn’t like mysteries. 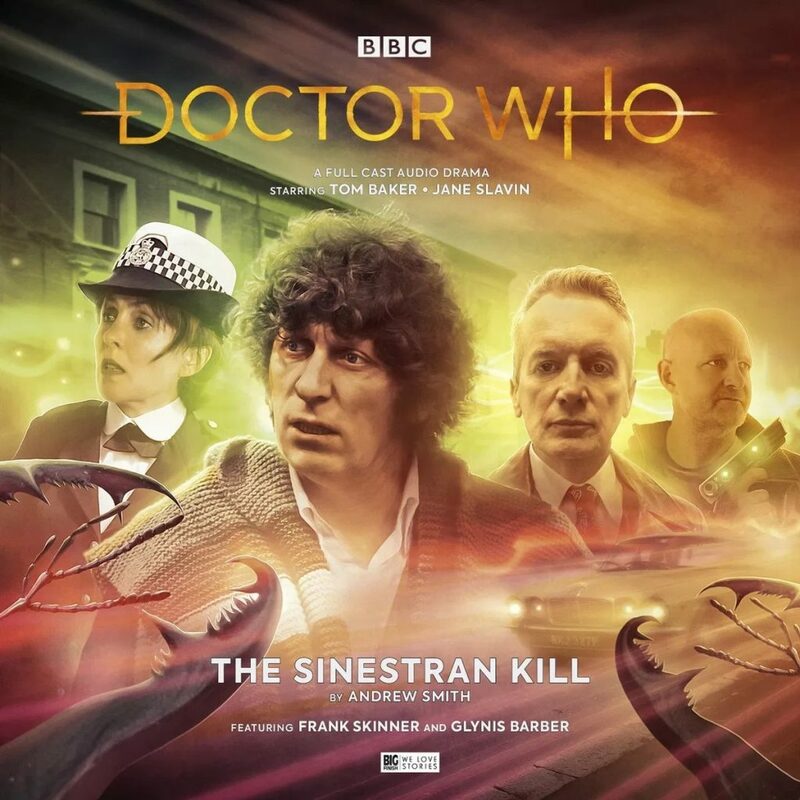 Keen to investigate the trail of the Sinestrans, she sets the TARDIS on a new course… but flies into danger. Arriving on a desolate world that the Doctor finds somehow familiar, the TARDIS crew discover that something is wrong with time. 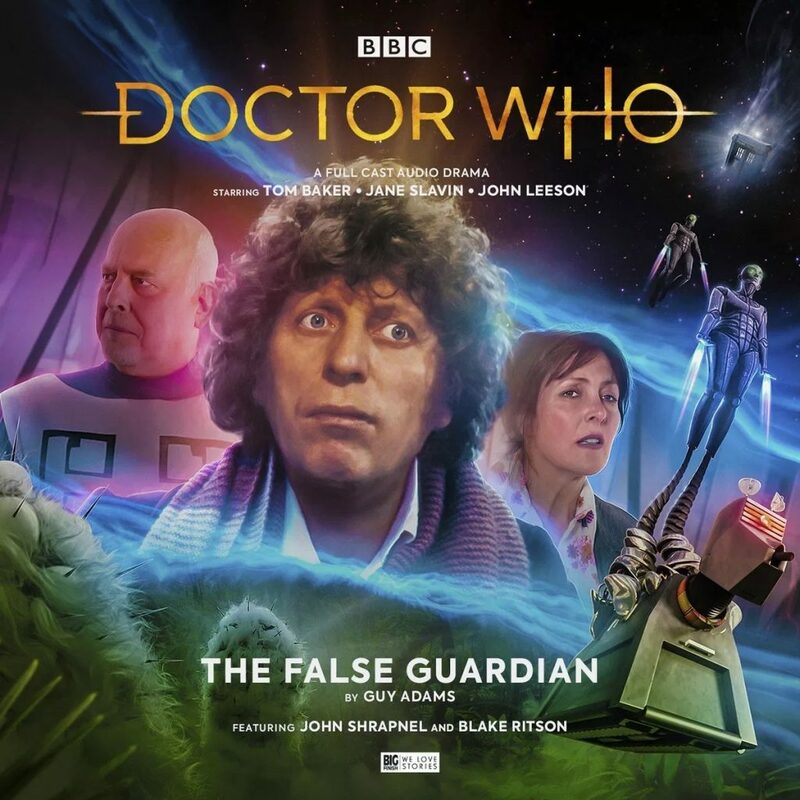 The inhabitants of an unusual complex are experimenting at the command of their enigmatic director… somebody who has quite a strong grudge against the Doctor. Facing an old foe who was presumed dead, the travellers are soon trapped in a diabolical scheme. But is it just the tip of the iceberg? 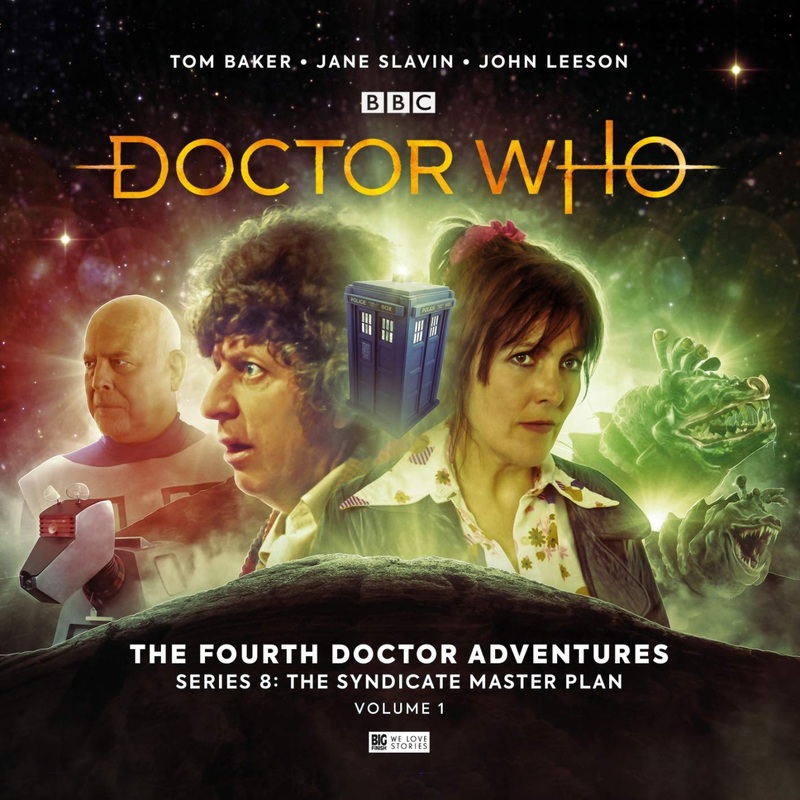 The Fourth Doctor Adventures: Series 8 – Volume One – The Syndicate Master Plan is out now from Big Finish, priced £25 on CD or £20 as a download.